What’s Asphalt 5 all about? The Asphalt series has long been a staple of phone game stores. The series started very primitively, with racing games that were reminiscent of retro game console fare. 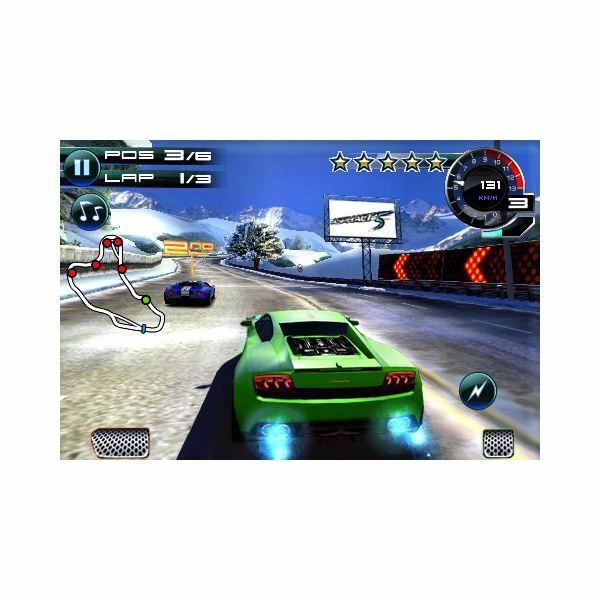 The series has come a long way and its latest iteration, Asphalt 5, is a fully-realized, 3D rendered racing game available in the iPhone app store. 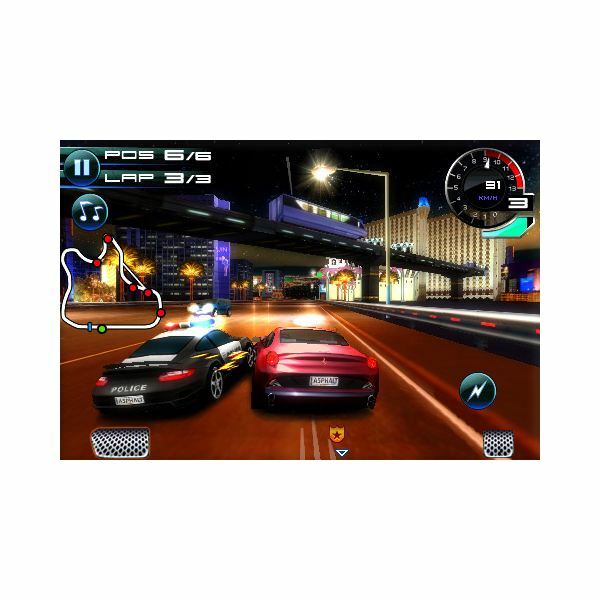 The game takes full advantage of the iPhone’s graphical capabilities and offers licensed vehicles from major auto makers like Audi. The fact that this kind of game is even possible on a mobile device can still be surprising, and when you see it running smoothly it’s a wonder to behold. The only issue with the app is that it frequently dips well below what anyone would consider a "smooth" framerate. When there is a bevy of items and pedestrian vehicles on the screen the game can seem like it is moving in super slow motion. This typically only lasts a few moments and as soon as the game has a chance to catch up with itself the issue is resolved. There are multiple control options that will greatly enhance your enjoyment of the game. You can use the iPhone’s accelerometer to control your vehicle by tilting the device from side to side, but this tends to lag a bit and if you jack up the sensitivity to compensate for this you will oftentimes find yourself facing a wall instead of the track. There are also two touch options included; a tap mode that requires taps on either side of the screen to move the car slightly in that direction, as well as a steering wheel mode, which places a small steering wheel in the corner that the driver must turn to turn the car. The Asphalt series sure has come a long way, and Asphalt 5 is certainly the best looking offering so far in the series. However, the game doesn’t always run silky smooth, and if there’s a lot of action going on you may be in store for a slide show rather than any graphical splendor. Still, it’s a pretty impressive looking game for a mobile device and nothing to be sneezed at. Power-ups have cool particle effects and using your turbo yields cool flames from your tailpipes. Asphalt 5 also excels in the audio department. Tires squeal, fenders crack, and the epic crashes sound pretty great too. The only area where the audio slightly lacks is in its music selection. It would be cool to have some relevant licensed music included, but that’s neither here nor there. Asphalt 5 rings in at a full three dollars, which is three times as much as some app store classics like Angry Birds. That doesn’t mean it’s not worth it, it just means that you may want to give the Asphalt 5 Free version a try before committing such a healthy investment. Racing fans will love it, but casual gamers may be turned away.